Okay, I’m going to attempt to do my first ever wrap up post which consist of books I received this month, a recap of posts from this month, and a little lifestyle update (i.e. just talking about my boring life), and a little look into what’s ahead for July, including my tbr. First, let’s start with all the physical books that I picked up or were sent to me this month. I grabbed the Harry Potter: The Creature Vault when it was on sale at Book Outlet. It’s SO beautiful. I can’t wait to be able to take beautiful pictures of it with the rest of my Harry Potter books and merchandise. 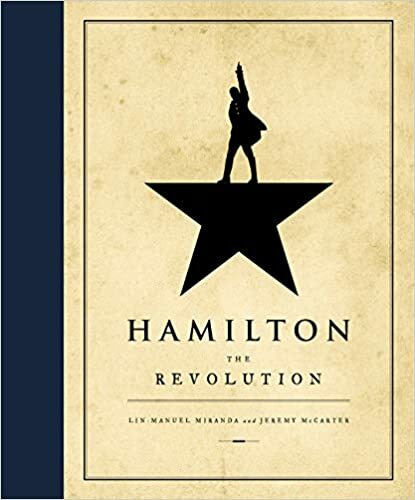 Then, I got Hamilton: The Revolution, or the Hamiltome, from eBay for only $18. I’m in love with it. Yes, I have been practicing all of Angelica’s scenes. I bought Friday Night Lights, L.A. Candy, Paper Towns, An Abundance of Katherines, The Darkest Evening of the Year, and Founding Brothers: The Revolutionary Generation from the thrift store for a whopping $4.50. Not pictured, but I also picked up The Square Root of Summer on sale at Target. Last, I received five physical books free from authors and publishers for review: The Killing Jar by RS McCoy, Gifted by J.A. George, and Just A Few Inches by Tara St. Pierre; not pictured, Ink and Bone and Paper and Fire by Rachel Caine. It was also a great month for my Kindle. I bought a ton on Amazon because there were so many great sales and I received a lot of e-ARCs from NetGalley. Review: I absolutely love Hamilton, obviously, and the Hamiltome is the perfect companion! Lin-Manuel Miranda’s commentary on the lyrics provides so much more insight. I love getting a glimpse into this man’s top-notch brain. It’s also just a very beautiful book with gorgeous photos. Review: I received an e-ARC of this novel from the author in exchange for an honest review. 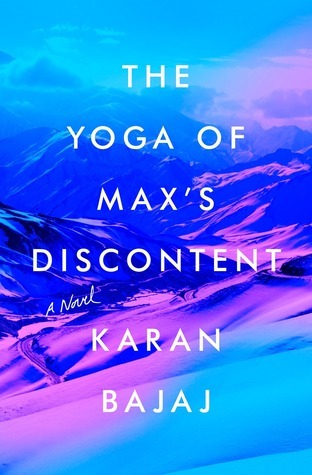 Karan Bajaj’s writing and style is beautiful, but I could not connect with the main character, Max–actually, I despised him, which made reading this novel almost excruciating. However, there were many bit characters that he came in contact with throughout his journey that I found very interesting. It was an interesting journey as well. I’ve been reading extremely slow but it’s important that I finish all of these this month and get them reviewed because ARCs and commitments. I’m currently reading The Killing Jar and Ink and Bone, both of which are great. I just really have to settle down and make myself focus… soon. I went to Universal Studios Hollywood for my birthday, which was June 2nd, and the Wizarding World is AMAZING! Said farewell to the west coast with a trip to the beach. I moved back to my hometown in Alabama. Starting over is scary. Went to Magic City Con in Alabama. It actually wasn’t terrible and I discovered a ton of new artists and authors that I want to get into. In 5 days I visit New York CIty for the 1st time. So excited. My schedule includes stalking the whole Hamilton cast. Only 20 days until SDCC! I’m ready for some Hall H shenanigans. Then off to London for Harry Potter and the Cursed Child. So excited. If book hauls were meals this one would be a Thanksgiving feast. So many delicious books! Paper Magician’s been on my Kindle for a while but I’m not as excited about it as when I first bought. What good things have you heard about the Paper Magicians series? The Square Root of Summer I would read for the title alone. Happy reading! haha Thank you! The entire Paper Magicians set was on sale for about $5 on Amazon, which is the primary reason I bought it. Also, the covers are gorgeous. And they each had a ton of 4 or 5 star reviews. I don’t know anyone or any bloggers who have talked about it recently though. 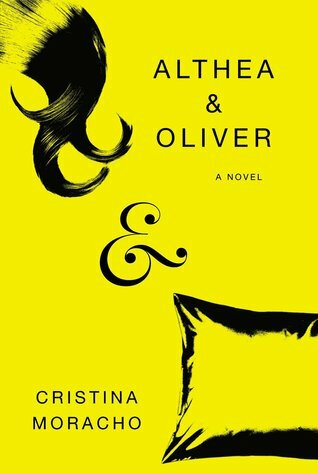 For this one I went entirely with Amazon reviews and the Goodreads ratings. I am so eager to read Vengeance Road! It seems like such a cool book. You’ve got a lot of good books on here! Thank you! haha Amazon is killing on the Kindle deals right now. Most of these were already on my tbr too, so when I saw them for $2.99 or less, it was a no brainer. June was not that great actually. lol Probably my 2nd worse month this year. It’s been a very rough year, but no one wants to read that! Wizarding World was amazing though! I really want to go to the one in Florida. I’ve heard it’s a little bigger and [probably] better. Wow!! You have had quite a busy month!! I never thought about getting the Hamiltome from eBay. I had a nightmare trying to get a copy, but finally got one after the third attempt at ordering it. The Magician series is so so so good. I think it’s quite unique and I loved the story and imagery. I hope you love them!